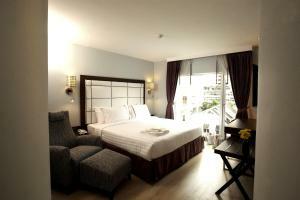 S Sukhumvit Suites is situated between Sukhumvit Soi 21 and 23 beside Asoke BTS Train Station and opposite to Terminal 21 shopping mall. 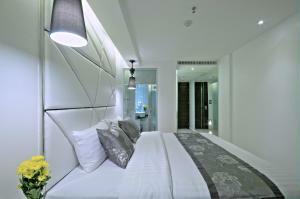 It is close to nightlife areas like Nana and Soi Cowboy. 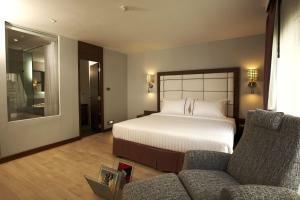 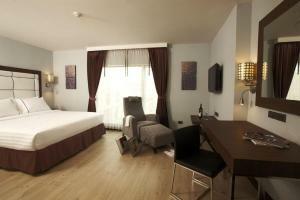 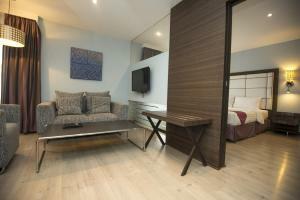 Its modern rooms are equipped with flat-screen TVs and free Wi-Fi. 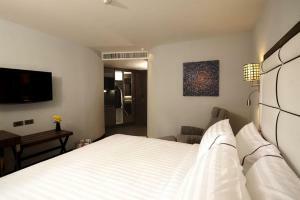 Decorated in white and brown, the stylish rooms at S Sukhumvit are each equipped with a personal safe and satellite channels. 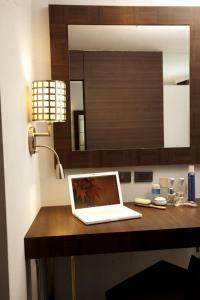 A minibar and tea/coffee making facilities are also included. 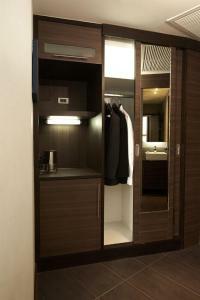 For day trips and activities, guests can make travel arrangements with the friendly staff at S Sukhumvit's tour desk. 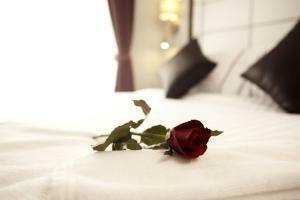 The hotel also provides Thai massage and laundry services. 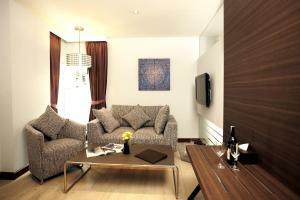 Local and international dishes are served at the hotel’s Indulge Restaurant. 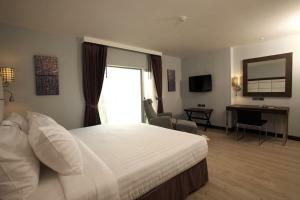 A daily buffet breakfast is also available there. 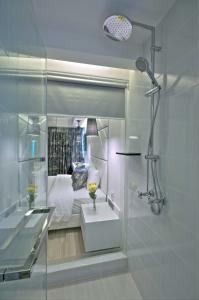 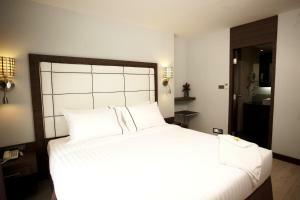 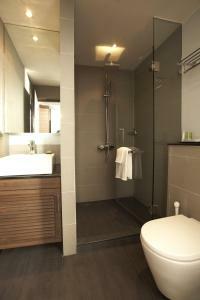 S Sukhumvit Suites is about 20 km from Suvarnabhumi Airport. 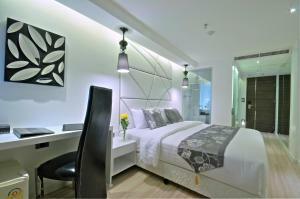 Emporium Mall, as well as the popular Bed Supper Club, are within one km from the hotel. 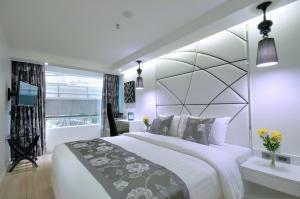 Sukhumvit MRT Station is just a minute walk from the property. 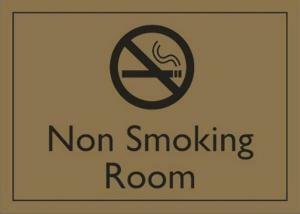 Please note that all hotel rooms are strictly non-smoking. 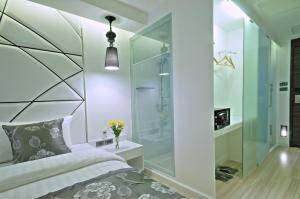 Note: Extra bed is not applicable for this room type. 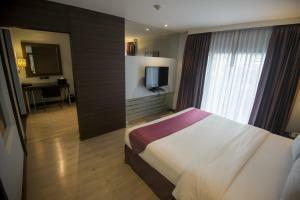 Rate: THB 2496.00 ... THB 4836.00; select dates below to get current rates. 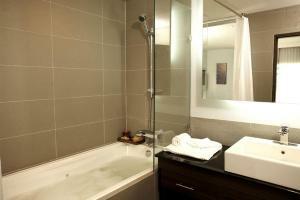 Features a bathtub in en suite bathroom. 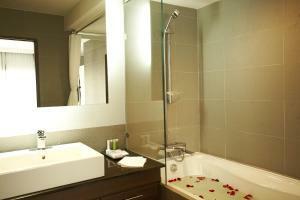 Features a living room area, 2 flat-screen TVs and a bathroom with shower and bathtub.